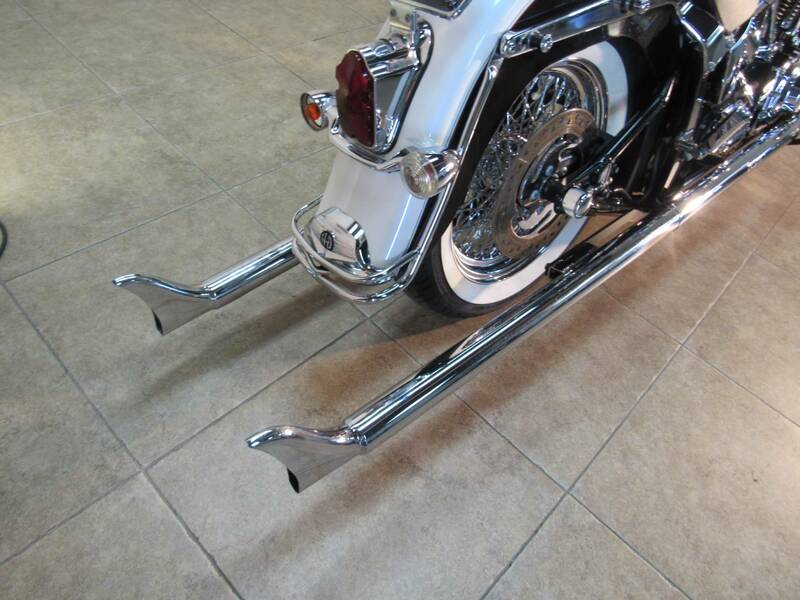 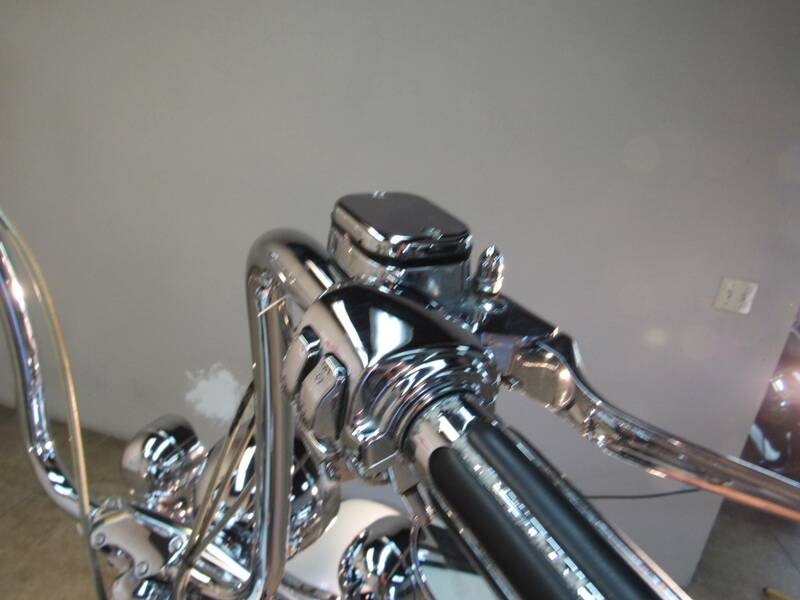 Gangsta Deluxe- bars, fishtail pipes, all the goods, a great look, A Deluxe that wont break the Bank ! 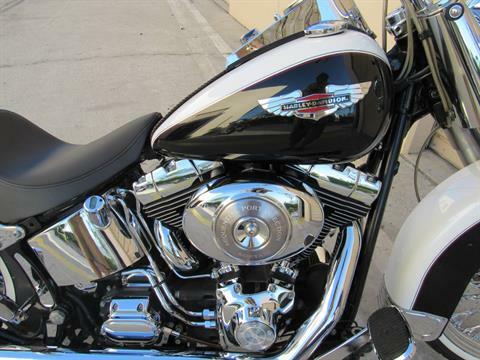 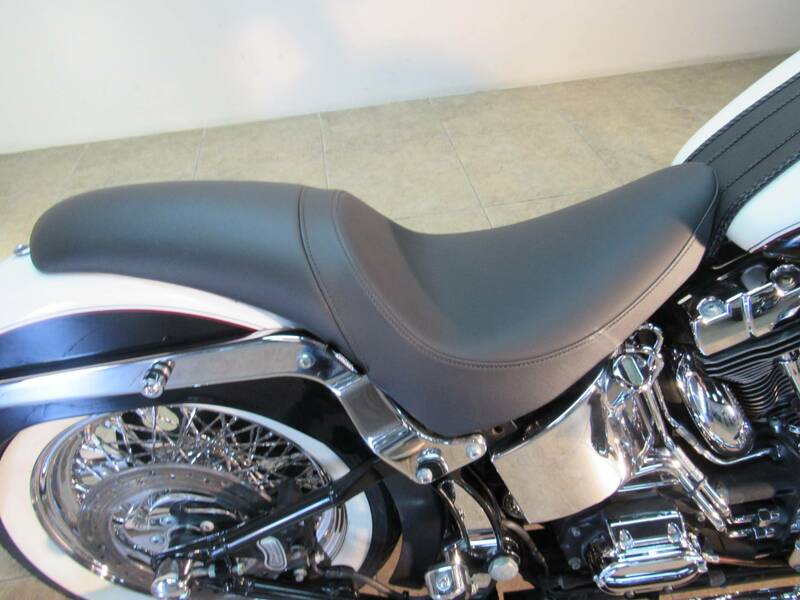 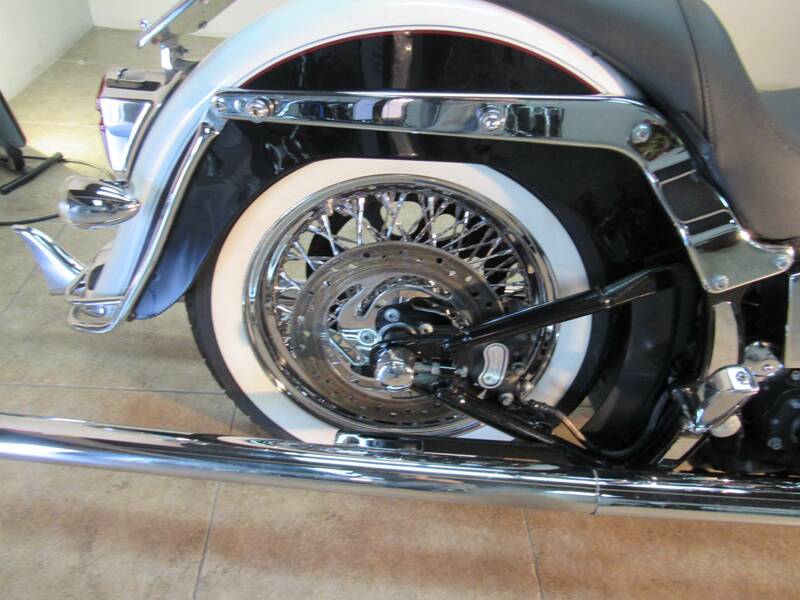 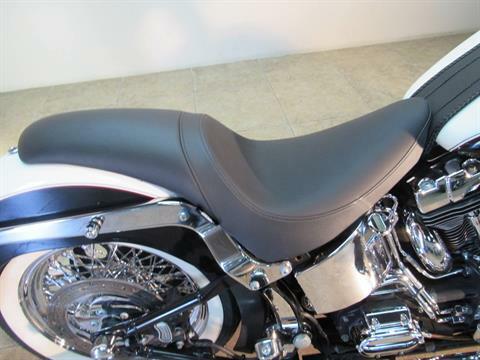 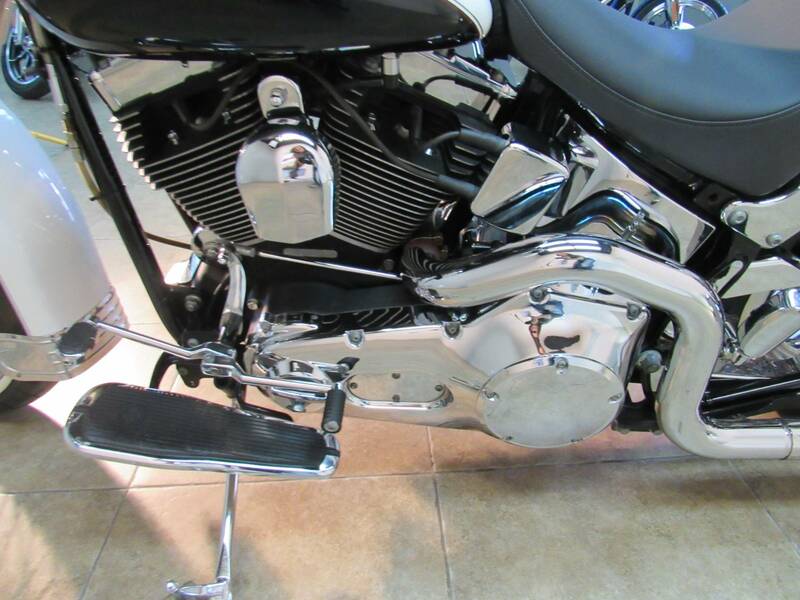 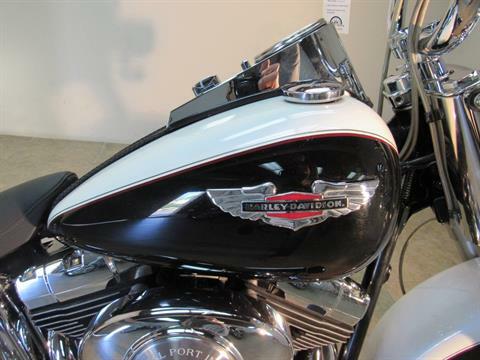 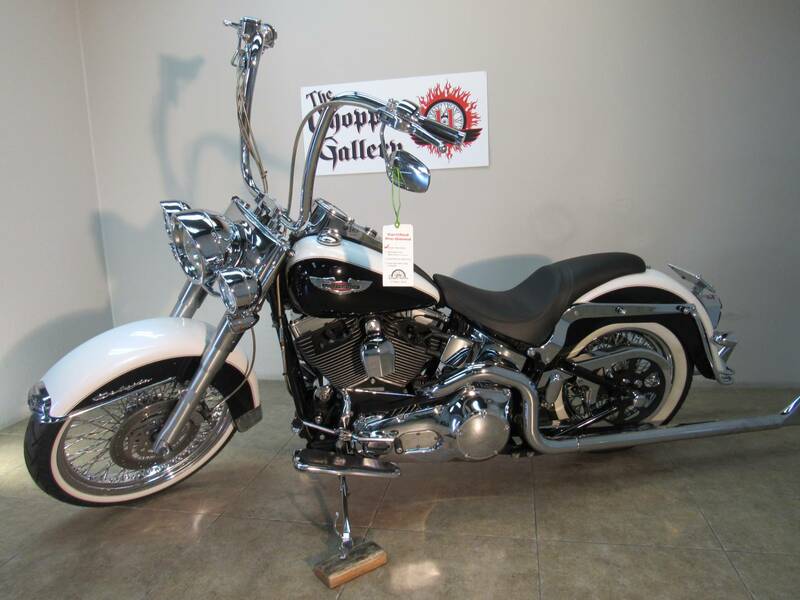 2006 HARLEY DELUXE SOFTAIL GANGSTA - BLACK AND WHITE TUXEDO BIKE - ALL THE TRICKS- LIKE CURVED APE BARS, CABLES, FISHTAIL PIPES, LOWERED, WHITEWALLS, 21 INCH LACED TWISTED FRONT WHEEL, 16 INCH TWISTED REAR WHEEL, & MORE. A VERY CLEAN CALI BIKE. 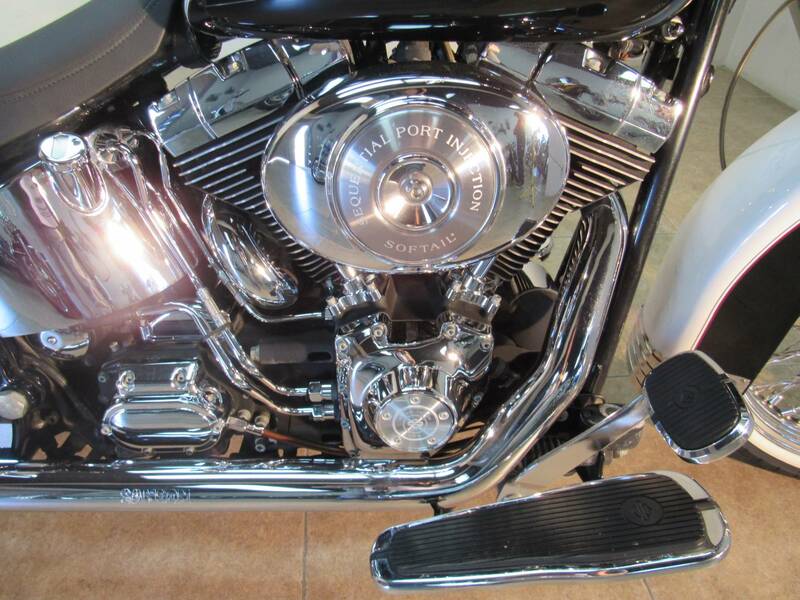 PROVEN RELIABLE 88 INCH EFI TWIN CAM ENGINE. 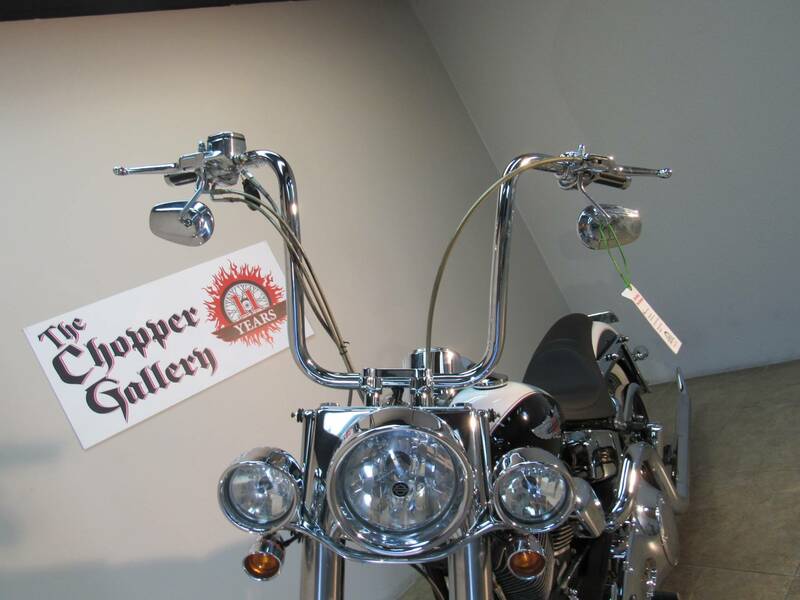 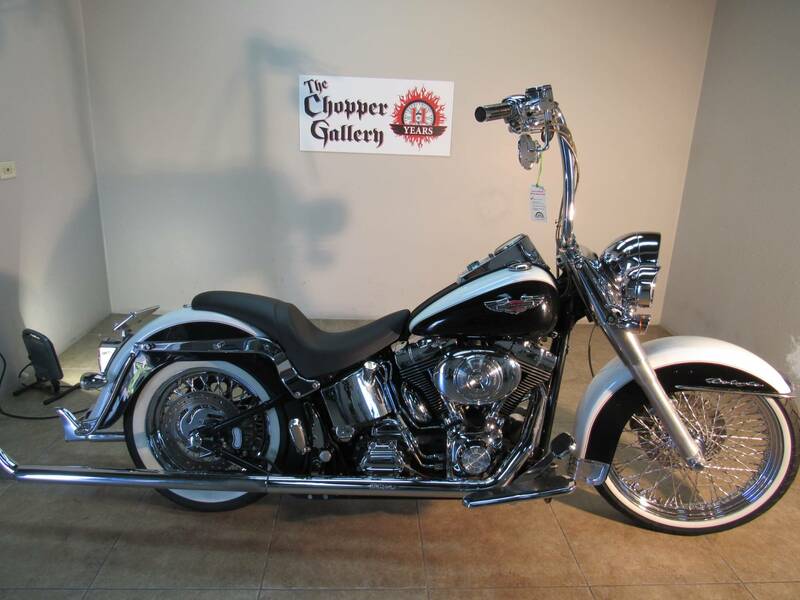 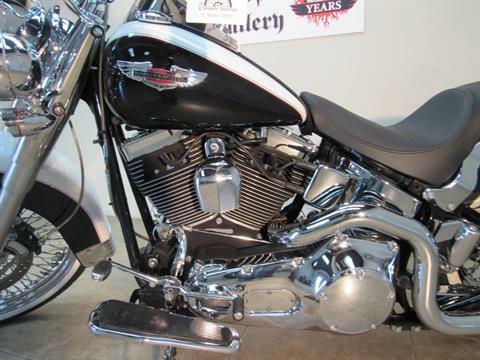 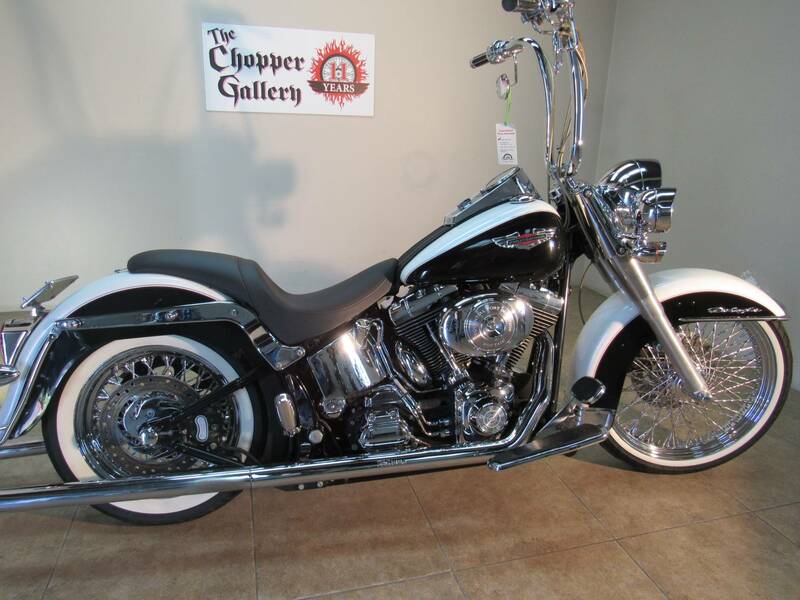 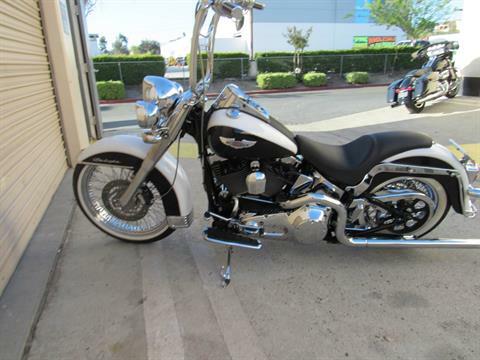 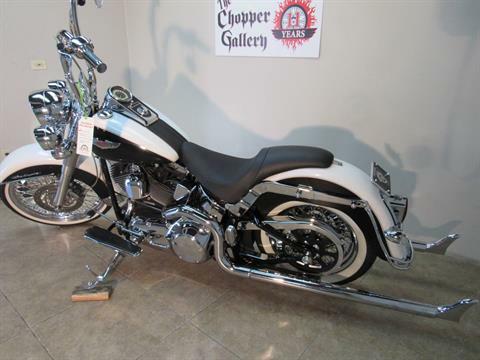 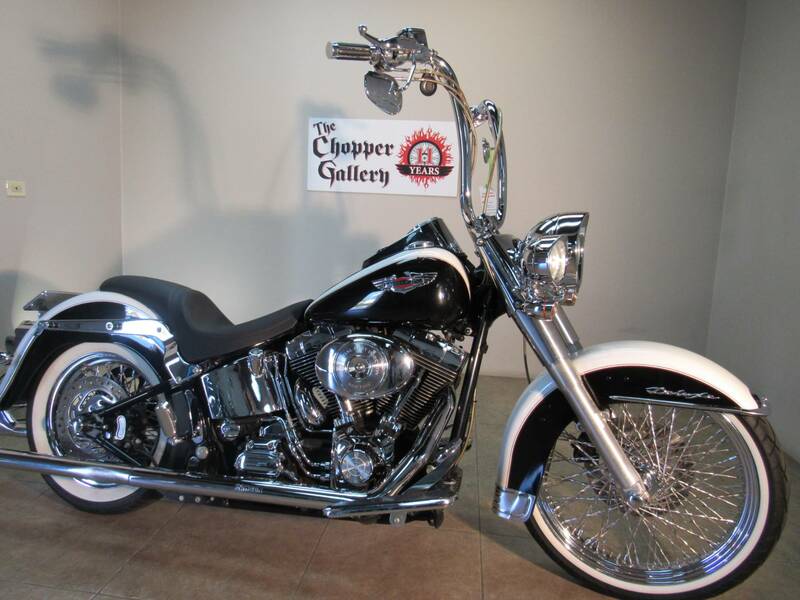 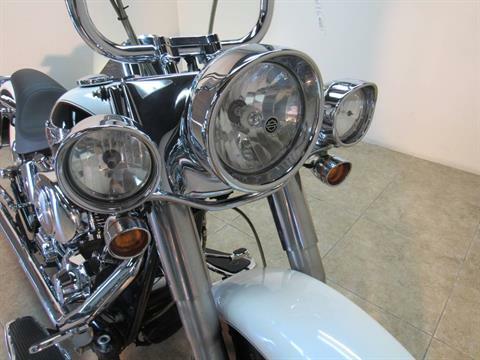 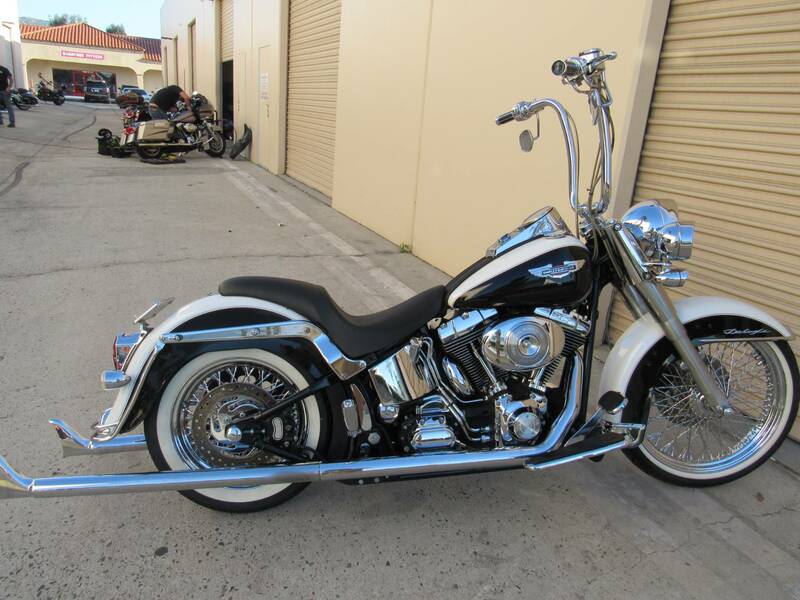 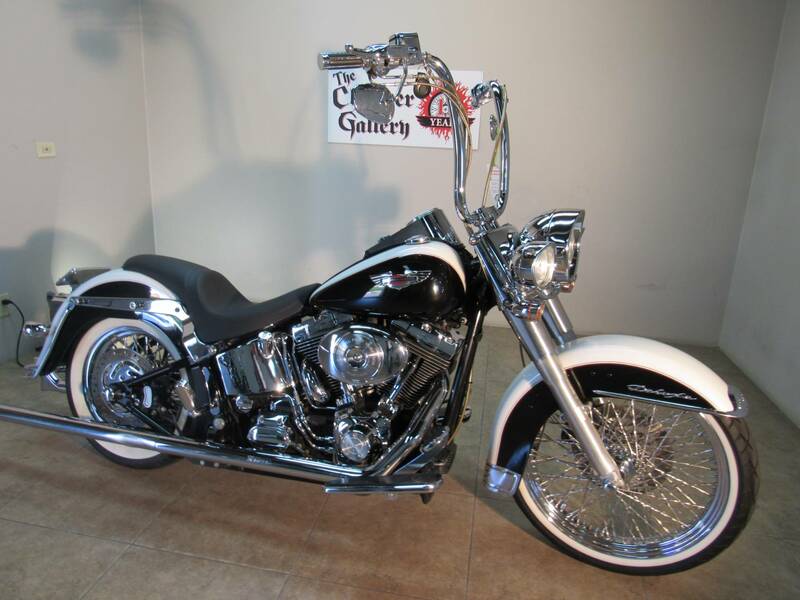 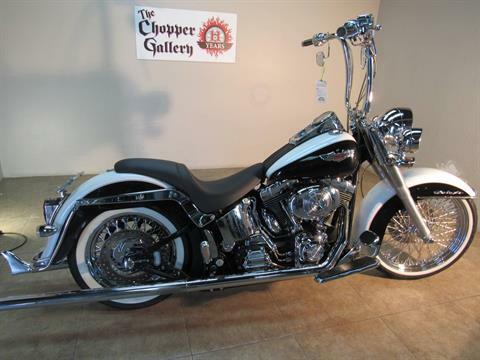 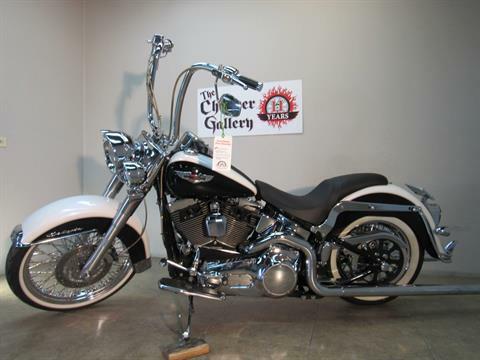 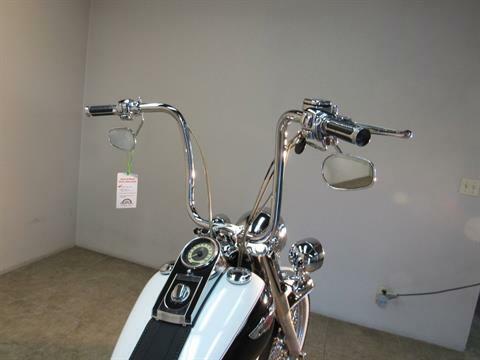 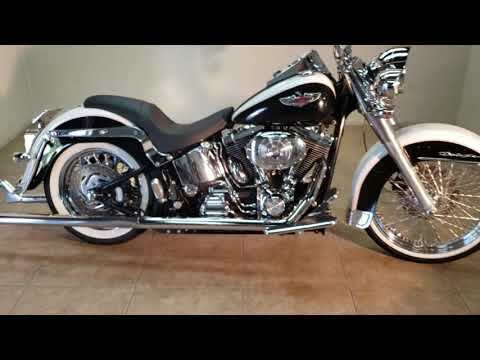 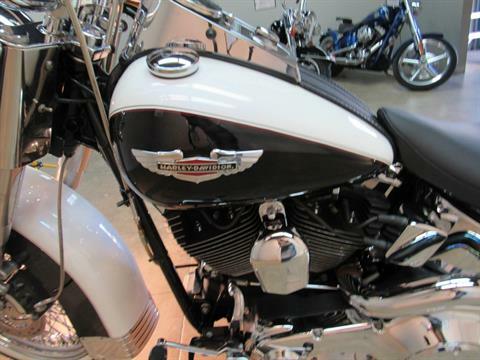 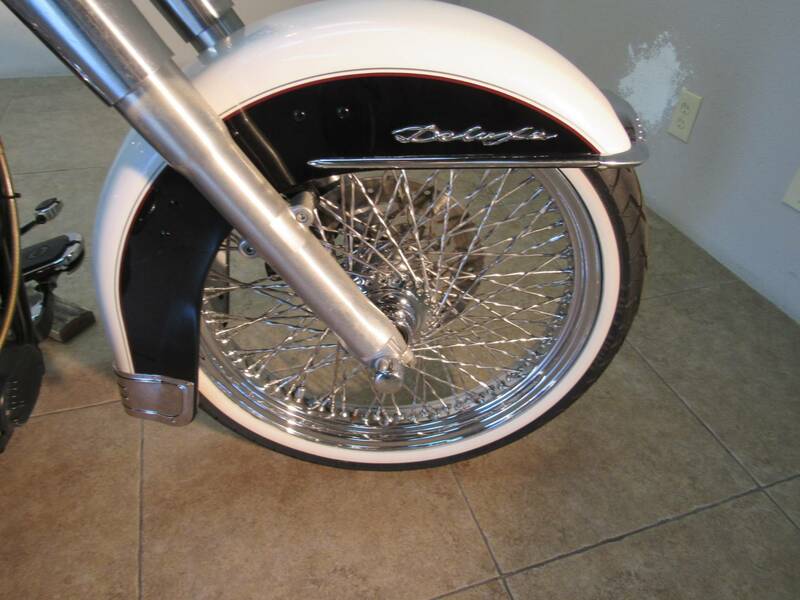 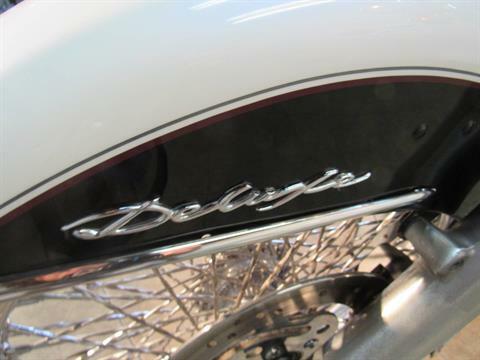 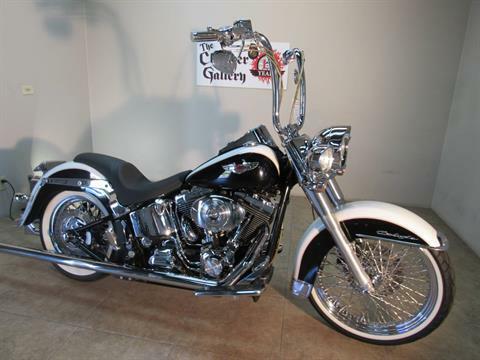 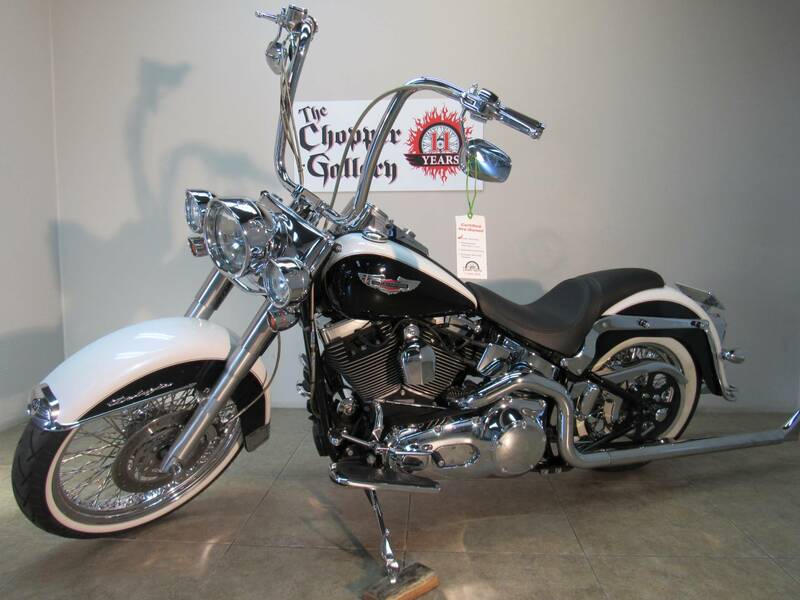 WHAT A LOOKER .. DEALER WARRANTY , THE CHOPPER GALLERY DOT COM SALE prices every day for 11 years. 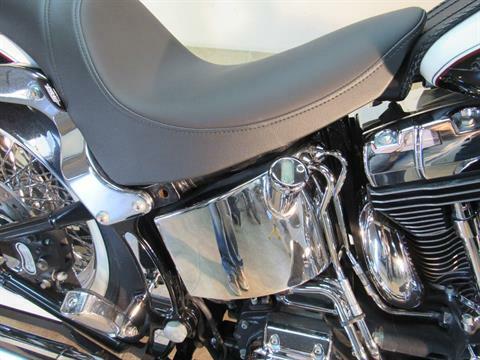 Come in and see why we are Numero Uno in the West for pre-owned American Bikes. 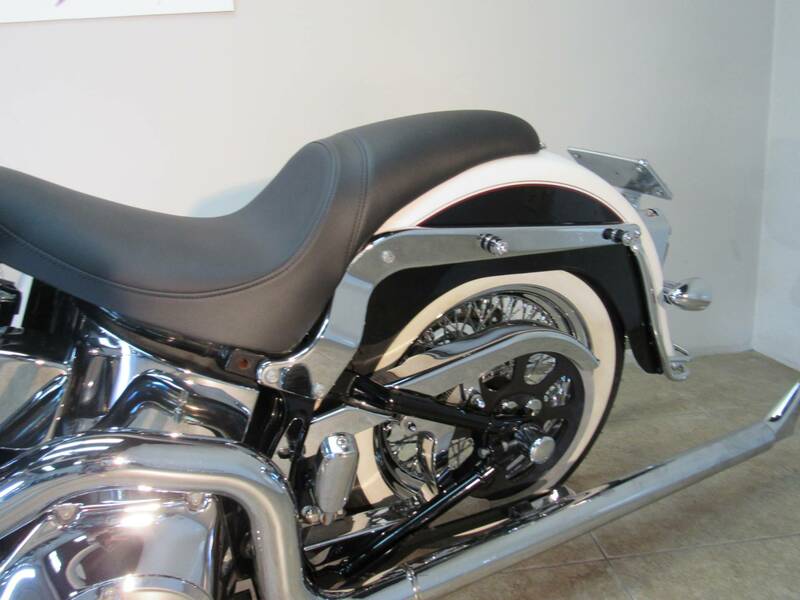 We have Financing- apply and be approved from home on our website. We ship everywhere.